Colleen M. Story is on a mission to inspire people from all walks of life to overcome modern-day challenges and find creative fulfillment. 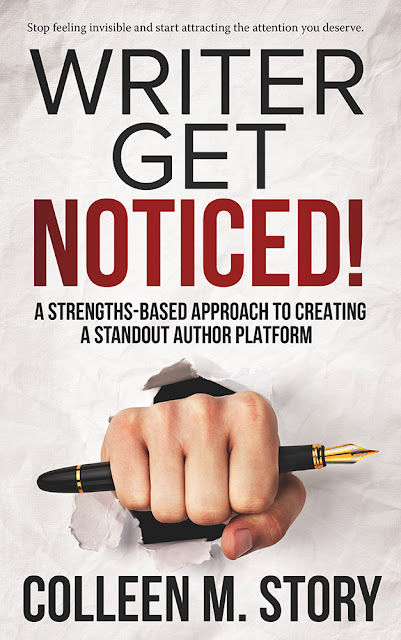 Her latest release, “Writer Get Noticed!,” is a strengths-based guide to help writers break the spell of invisibility and discover unique author platforms that will draw readers their way. Her prior nonfiction release, “Overwhelmed Writer Rescue,” was named Solo Medalist in the New Apple Book Awards, Book by Book Publicity’s Best Writing/Publishing Book, and first place in the 2018 Reader Views Literary Awards. 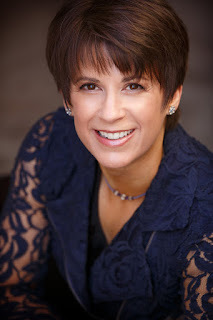 With over 20 years as a professional in the creative industry, Colleen has authored thousands of articles for publications like “Healthline” and “Women’s Health;” worked with high-profile clients like Gerber Baby Products and Kellogg’s; and ghostwritten books on back pain, nutrition, and cancer recovery. Her literary novel, Loreena’s Gift, was a Foreword Reviews’ INDIES Book of the Year Awards winner, an Idaho Author Awards first place winner, and New Apple Solo Medalist winner, among others. Q: Why did you decide to write about author platforms? After I got my first traditional publishing contract, my publisher suggested I work on some platform-building activities. I set myself up on a couple social media sites and worked more consistently on my blog, but my efforts didn’t produce results when it came to finding readers. When I landed my second publishing contract with a publisher I was super excited about, I knew I had to step it up. By that time, I realized how important it was for me, the author, to get involved in marketing, so I went back to the whole “platform” thing and tried again. This time, I discovered the key to not only finding new readers, but creating a platform I really enjoyed working on. That was a revelation, as up until then, anything related to the word “platform” felt like drudgery—something I “had” to do. Now that I realize all the many ways the right platform can enhance a writer’s livelihood, I’m excited to share what I’ve learned with other writers. Building a platform can be fun if you do it the right way! Q: Why do you think it’s so important for writers to have strong platforms? We think the reason we need a platform is to sell books, and of course that’s a big part of it, but there’s an even better reason. When you have a thriving platform that really fits your writing style and personality, it becomes a way to share your work and get the feedback that writers so desperately need to feel on purpose and motivated. We all write because we enjoy writing, but we also desire to be read. Most of us write for years with little feedback, and it’s during that time we learn the craft and discover our writer’s voice. But then we need readers, and if we don’t find them, we can start to feel like it doesn’t matter what we’re doing, or that our writing isn’t good enough, when that may not be it at all. Once you build a strong platform and you start getting feedback from people who enjoy your work, you gain energy, motivation, and purpose as a writer, and that’s just what you need to keep growing and producing. Q: There are many books out there about building a platform. What makes yours different? I take a unique approach when helping writers build their platforms. It’s all based on determining your strengths not only as a writer, but a creative individual as a whole. Too often we writers focus on our flaws—on what we think we’re doing wrong in our writing. The problem is that if we remain stuck in fixing our weaknesses, we will never become the strong writers we need to be to stand out in today’s highly competitive publishing world. Instead, we must identify and build on those things we do well. When we do that, we have a chance of reaching our full potential—and of gaining the readership we desire. Q: In your book, you talk about overcoming imposter syndrome. Why do you think that is an important part of developing a strong author platform? Many creative people struggle with imposter syndrome, which is the feeling that whenever you do something well, it wasn’t because of your strengths or skills, but because of luck or some other factor beyond your control. As long as we remain stuck in this thinking pattern, we aren’t going to be able to acknowledge our strengths. We’ll continue to feel that our successes are due to outside forces instead of our own efforts. And we’ll fail to build the confidence we need to truly take control of our writing careers. We have to leave imposter syndrome behind to be able to identify and acknowledge our strengths, and then use them to help ourselves stand out in the publishing world. Q: If you could give writers one piece of advice, what would it be? I’d suggest that as a writer, you start building a platform right now, no matter where you are in your career. I made the mistake of waiting until I got a publishing contract to start working on it. It takes time—often years—to build a readership, so it’s best if you start immediately. If you already have a platform, ask yourself if it’s working well for you. Does it energize you? Is it bringing you readers? Does it make you look forward to your next project? If not, it’s time to rethink how you’re doing it. If you too are looking to work on improving your reach and building a platform, I highly recommend ‘Writer Get Noticed!’ to you. Sounds like a great book for writers. I agree all writers want to reach out to as many readers as they can and it’s hard with so many books and out there. A writer’s platform sounds like a good idea.